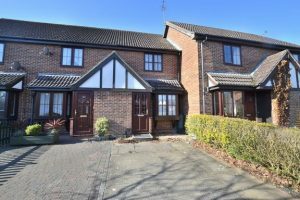 A three bedroom end of terrace property offering deceptively spacious accommodation to include, kitchen, living room and conservatory and being situated in a cul de sac location with driveway parking to the front. A very well presented three bedroom property delightfully situated in the Calthorpe Park area of Fleet within close proximity to local schools and benefiting from a garage to the rear. A two bedroom property offering vacant possession with private rear garden and gas fired central heating. The property is located in a cul-de-sac within walking distance of local shops and amenities. Private parking off road. A well presented two bedroom end of terrace property built by Charles Church, with double glazed windows, gas radiator heating, parking, private rear garden, situated on the popular Barningley Park development ideal for investment landlords. 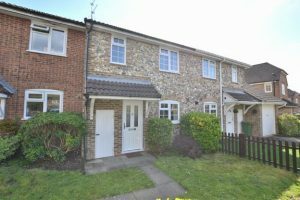 A wonderful opportunity to purchase a two bedroom coach house situated on the new Crookham Park development, the property offers two double bedrooms, en-suite, family bathroom, kitchen/ living area, garage and allocated parking. A character two bedroom semi-detached Victorian cottage requiring modernisation and benefiting from driveway parking and a large rear garden extending to approximately 90ft. A two bedroom semi-detached family home with gas fired central heating featuring a very large rear garden and off road parking to the front with excellent scope for improvement and requiring modernisation.